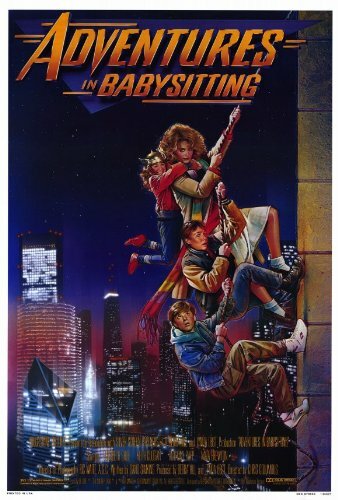 075 – Adventures in babysitting | All Eighties Movies. All The Time! This entry was posted in Podcasts and tagged comedy, family. Bookmark the permalink. YOU ARE AWESOME! This is one of my favorite movies of all time. I am so very happy right now. LOVE LOVE this movie and had to look up what a ‘lawn jockey’ was. LOL. Keep up all the trivia as that is my favorite bits. Listened to the whole thing and enjoyed it immensely! Will be hearing more in the future, well don guys! I love love love this film so much. THANK YOU for not wrecking on it and loving it like I do! Oh can we suggest Top Tens? oh for sure you can Rita! Super fantastic pod cast Gidg and Angry. Laughed a lot. You are both truly funny.